50+ World > History & Headlines > 1945 > Were You Alive in February 1945? Canadian and British soldiers embarked on the Battle of the Reichswald (Operation Veritable, Feb 8-Mar 11, 1945) in the Netherlands against German forces in WWII. U.S. President Roosevelt, British Prime Minister Winston Churchill, and Soviet Leader Joseph Stalin met at the Yalta Conference beginning on February 4, 1945 to discuss Europe's post-WWII future and reorganization. Among other agreements at the Yalta Conference, it was decided that after the war, Germany and Berlin would be split into four occupied zones; free elections would be permitted in Poland (formerly it had a communist government put in place by the Soviet Union), and Nazi war criminals were to be hunted down and brought to justice. Rosenthal's picture won the Pulitzer Prize for Photography in 1945 and is recognized today by the baby boomer generation, seniors, and younger generations as an iconic moment in World War II. Three of the six men in the picture didn't survive the battle - Harlon Block, Franklin Sousley, and Michael Strank. 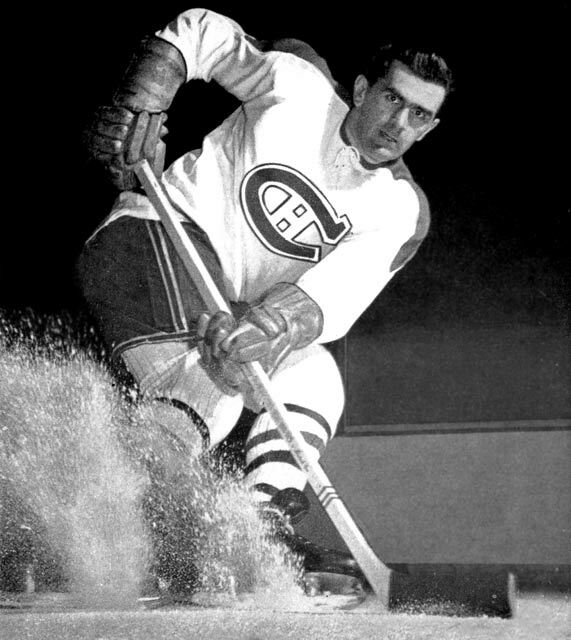 The Montreal Canadiens Maurice "The Rocket" Richard broke Joe Malone's NHL record (44 goals in a single season) on February 25, 1945, in a 5-2 win over the Toronto Maple Leafs. Richard was a 78-year-old septuagenarian senior citizen when he died in May 2000. Senior hockey fans will remember that Richard had to withstand increasingly aggressive tactics from opposing players en route to setting his new, long-standing record of 50 goals in 50 games in that 1944-1945 season.